Lately, I've been obsessed with this coat, that I've paid literally 1 dollar, even though I have it for more than a year. Chunky boots perfectly go with over sized coats, and mine are from H&M. 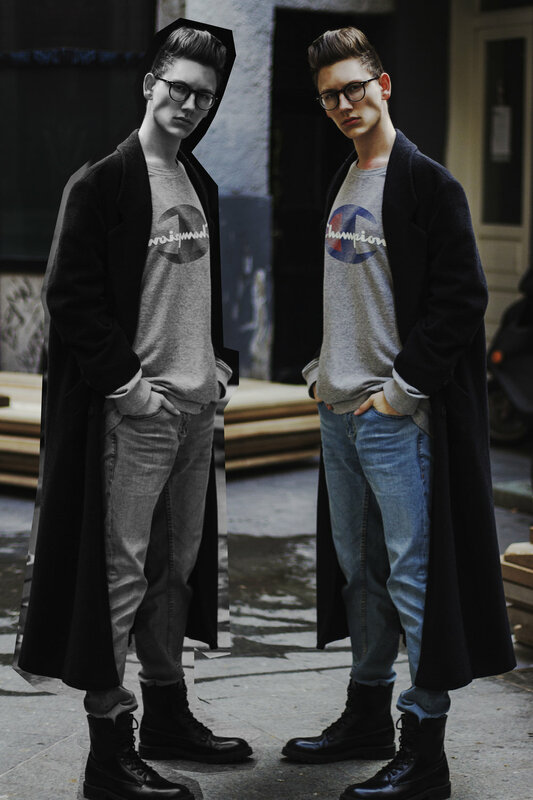 For more street style look I've put on my dads champion sweater and basic jeans from Zara. This look is super comfortable, yet edgy and have a bit different silhouette that I usually wear.